The death of chondrocytes and the loss of extracellular matrix are the central features in cartilage degeneration during Osteoarthritis (OA) pathogenesis. The mechanism by which chondrocytes are removed in OA cartilage are still not totally defined, although previous reports support the presence of apoptotic as well as non apoptotic signals. In addition, in 2004 Roach and co-workers suggested the term “Chondroptosis” to design the type of cell death present in articular cartilage, which include the presence of some apoptotic and autophagic processes. To identify the mechanisms, as well as the chronology by which chondrocytes are eliminated during OA pathogenesis, we decided to evaluate apoptosis (by active caspase 3 and TUNEL signal) and autophagy (by LC3II molecule and cytoplasmic vacuolization) using Immunohistochemistry and Western blot techniques in an animal OA model. During OA pathogenesis, chondrocytes exhibit modifications in their death process in each zone of the cartilage. At early stages of OA, the death of chondrocytes starts with apoptosis in the superficial and part of the middle zones of the cartilage, probably as a consequence of a constant mechanical damage in the joint. 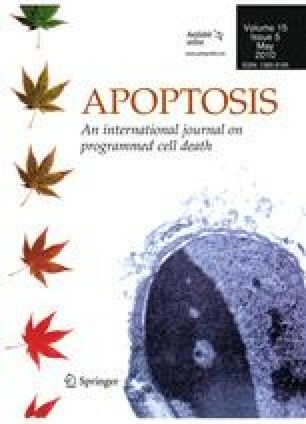 As the degenerative process progresses, high incidence of active caspase 3 as well as LC3II expression are observed in the same cell, which indicate a combination of both death processes. In contrast, in the deep zone, due the abnormal subchondral bone ossification during the OA pathogenesis, apoptosis is the only mechanism observed. We are grateful to BSc. Magdalena Miranda, MSc Raymundo Cruz, MSc Elena C González, and MSc. Mariel Rojas, from the Department of Infectomics and Molecular Pathogenesis for their critical reading and editing of the manuscript. We are also extremely grateful with BSc. Sirenia G, BSc. Ma de Lourdes Rojas and MSc. Iván Galván for their help in the use of TEM and confocal microscopy. Finally, we thank Clara Castelán for her administrative support and to Cinvestav-IPN, This project was supported by the project N. 59787 CONACYT-México. The authors have not any financial relationship with the organization that sponsored the research.